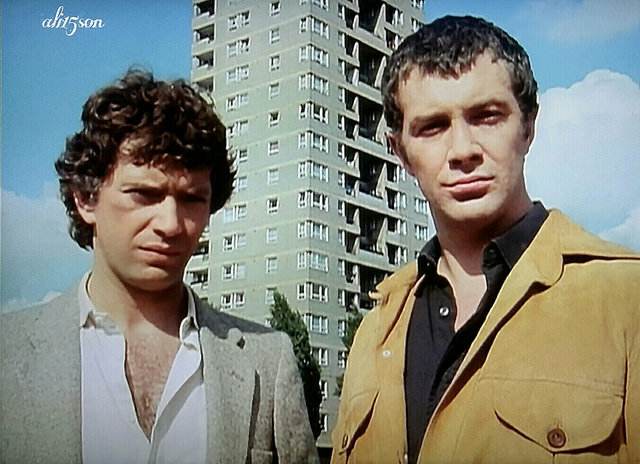 bodie and doyle (it's only a beautiful picture ) - BODIE 3.7 . you'll never walk alone ! Beautiful alright! ..Lovely image with those dramatic shadows and fluffy clouds in the sky as a backdrop. Thank you! A lot of pensive looks lately! I hope all is well between these two. Stunning, absolutely stunning. Love the sky as background in this shot, too. Cheers!